CashTech Currency Products Inc., a Qwinstar company, is a market-leading provider of maintenance and technical service solutions to financial institutions, cash processors, cash in transit (CITs), OEMs, resellers, and retailers. With over 40 years of expertise in cash automation, bank branch solutions, remittance processing equipment, and maintenance services, CashTech Currency Products Inc. and Qwinstar are uniquely positioned to support clients across Canada and the United States. We are committed to providing industry-leading hardware solutions in addition to exceptional service with highly trained employees. We offer a wide range of commercial currency solutions and our experienced consultants help our customers make the right choice for their business needs. We offer trusted, strategic advice on commercial currency machines from global manufacturers such as ARCA, Glory, Giesecke & Devrient America, Magner, Maverick, Digital Check, Panini, Epson, Canon and Opex. Our service and support cover you wherever you may be within Canada and the US. We have a full-service team of dedicated account managers, project managers, highly trained field service representatives, repair technicians, and logistics experts to ensure you always have the support you need when it comes to your cheque, cash, and coin processing. CashTech Currency Products takes a long-term view of our business relationships with our clients—not a short-term opportunistic view. 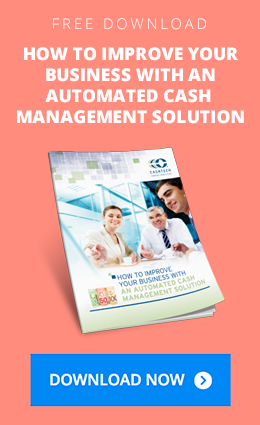 CashTech strives to meet and exceed our clients’ expectations. Powered by innovation and sustained by lasting value, CashTech is your precision partner. Our commitment to quality products and meticulous maintenance create a cost-effective advantage for our customers. Backed by a dedicated team with more than 40 years of comprehensive industry experience, CashTech Currency Products Inc. was established in 2003. Previously a division of Datacard Canada Inc., CashTech has grown its services nationally through strategic acquisitions, affiliates, and alliances. In 2018, CashTech Currency Products Inc. merged with Qwinstar Corporation and 3-Point Alliance Canada (3PAC) to become a market leader in cash automation, full-branch service, and remittance, hardware, and image scanning solutions. We continuously leverage our strengths as a customer-focused company, working in partnership with customers to meet their precise needs. Combined, the partnership will become one of the largest independent US and Canadian cross-border technology service providers in the market, with a growing portfolio that includes cash automation solutions, intelligent safes, bank branch automation, cheque sorters, remittance-processing products, parts, supplies, implementation and maintenance services.